The couple looked happy and smiling despite the news today from the ministry of defence that William will be sent on a tour of the Falklands in February for six weeks performing search and rescue duties, during which time Kate will not be able to see him. The conditions in the Falklands will be a world away from life at Kensington. The Prince will have a very small room with minimal basics. William was advised to take a waterproof jacket, fleece, socks, thermal underwear and shoes in good repair as there are 'no shoe repairs in the Falkland Islands'. I was disappointed to hear this as it will be a difficult time for our favourite royal couple, no doubt Kate will miss William terribly while he's away. It is reportedly the longest time the couple have spent apart, Despite this the couple are said to have discussed it at length and Kate is 'very supportive'. 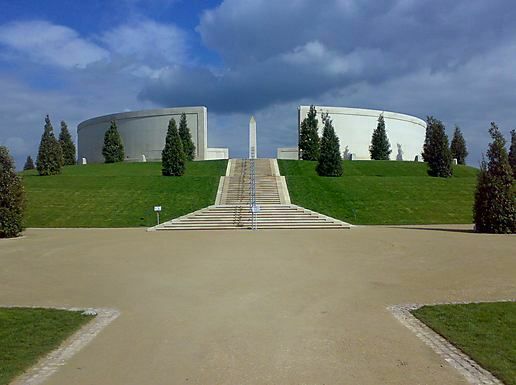 "Iconic focal point for the nations remembrance of British heroes. It is a place of sanctuary for those who come to remember and a place of quiet pride in the selflessness and sacrifice of those who have gone before. It is also a place of education". Duchess Kate looked simply breathtaking in a pale silver, one shoulder, floor length gown. She looked like a Grecian goddess. Absolutely beautiful. We haven't seen Kate in a one shoulder dress until now and it compliments her tall, slender frame perfectly The dress is by British designer Jenny Packham. (With thanks to Mrs Regal Eyes) The satin chiffon dress was made especially for the Duchess. One shoulder chiffon dresses from the Jenny Packham Spring/Summer 2012 collection. Angelina Jolie was photographed in a similar Jenny Packham dress earlier this year. 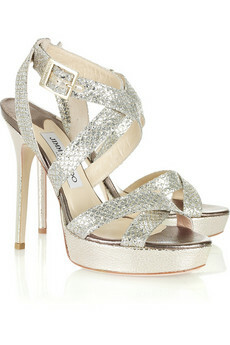 I believe the Duchess is also wearing her Jimmy Choo Vamp Glitter Sandals. Kate is noticeably wearing new diamond earrings. A poster on What Kate Wore remembered the earrings from Here. "We can confirm that the earrings worn by the Duchess of Cambridge on Thursday are from Beaut's vintage collection. The design is part of a collection supplied exclusively to Jenny Packham". "It was fab to meet them. They said they were sorry to hear about Gary and they were so sincere and interested. I felt they could have been my son and daughter. When I heard he was going to the Falklands I felt for his wife and the worry she must have. When you love someone you're going to miss them terribly". You can watch a video from the evening here. I really wish she would have wore her hair up with this dress. I have to agree with womp11, she'd look even prettier with her hair up! A nice friday to all of you! I am pretty sure the bracelet is the same one we have seen her wear to several formal events.. 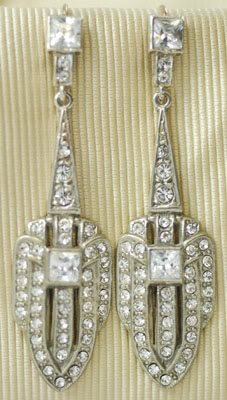 I am unsure of the earrings.. Maybe they are on loan from HM?? I also agree, a nice updo to show off those sparkly earrings..
Kate's hair would have looked gorgeous up but I think the dress is so beautiful it works either way. Love this look, Jenny Packham is fantastic. I think the Duchess looks absolutely gorgeous. Not many of us could pull off the one shoulder dress, but she's fabulous in it. Anonymous - I have always thought that Kate looks even more beautiful in video. Pictures don't do her justice and the look is stunning. Mystery of the earrings solved.. They are fakes.. Crystals in Silver..